The straight build is 100% complete, weapons included. However, after looking at the finished product, I am pondering if I should take the few extra steps to do some paint detailing on it. Like the thrusters on the legs. I can’t believe it came in white! So wondering if it is worth the trouble to hit it with some gray. Despite the huge amount of foil stickers (common for its time), the design is decent and the proportions are sharp. More anime-accurate than the stylized MG and RG models if that is your preference. Well, if I am going to do some painting and topcoating then it will have to wait. Portland is currently experiencing a late/super early white Christmas with record snowfall so I can’t work outside. Almost done with the 2005 HG Destiny Gundam. Should be able to get a review done before the end of the week. 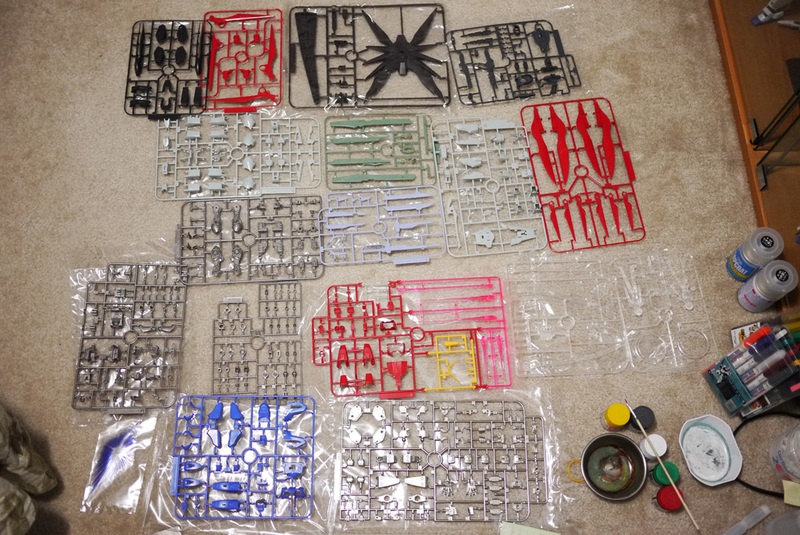 I was thinking of topcoating this model too but with all that foil sticker, I think I’ll just skip that step. Just got the weapons to go! I came to work one day and found a paper bag with these two inside on my desk. They were left for me by a fellow coworker who was leaving. 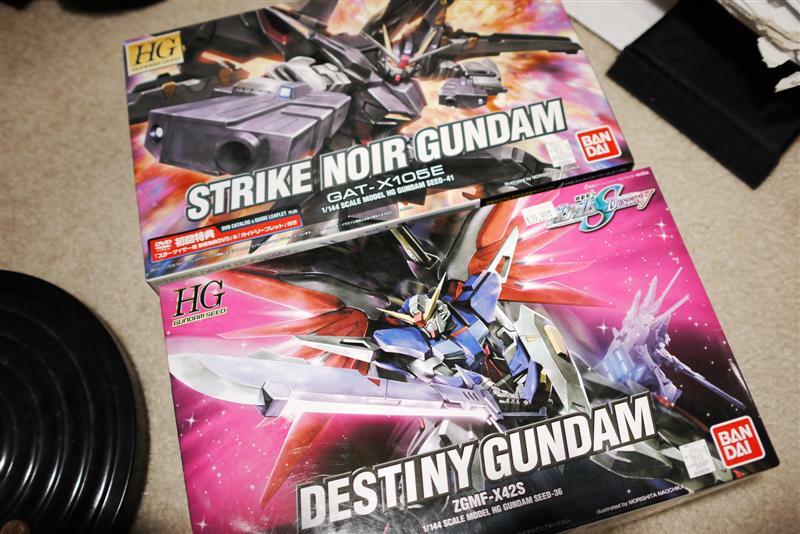 He asked me before if I wanted them because he knows I was into Gunpla, but I refused and suggested he should sell them instead; I already have a huge backlog that I am not really chipping away at. Looks like they ended up in my hands after all. He believes that my Gunpla skill will actually bring out more of the Gundam. While I don’t find that true, I was still motivated and encouraged by his words. Even if I don’t get around to building them, these two will still be a memento of my coworker for me. 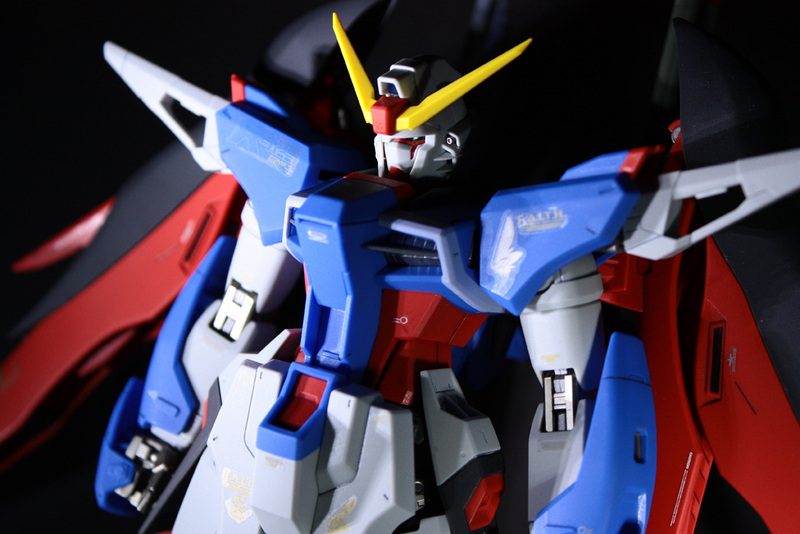 MG Destiny Gundam EBM Review! Alright… now that the jokes are over with, here’s something that can hopefully make up for the long absence which I will talk about in another post. 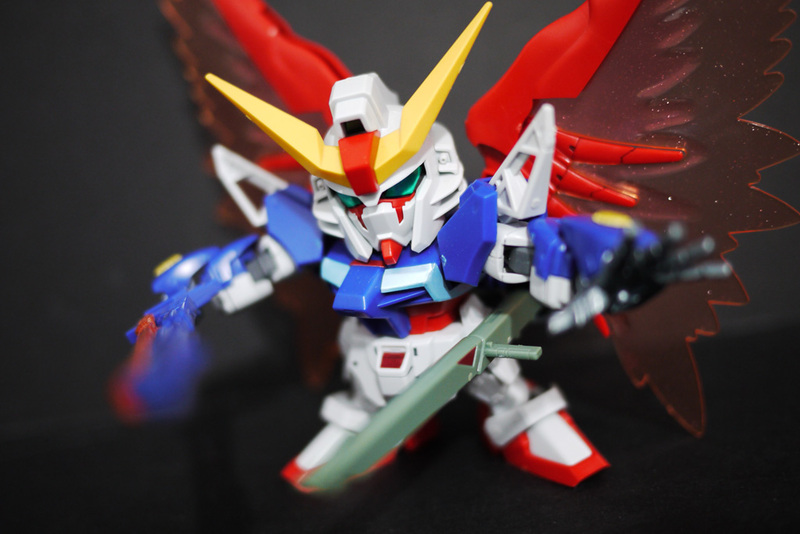 My first Master Grade review in… *drum roll* OVER HALF A YEAR! This is a complete review, straight with a two-part omake! 250+ photos so take your time! Here it is- MG Destiny Gundam Extreme Blast Mode! I have a lot of catching up to do on other blogs so I’ll be coming around to say hi sooner or later. I thank you all for waiting this whole time and I truly appreciate you all for sticking around! THANK YOU! 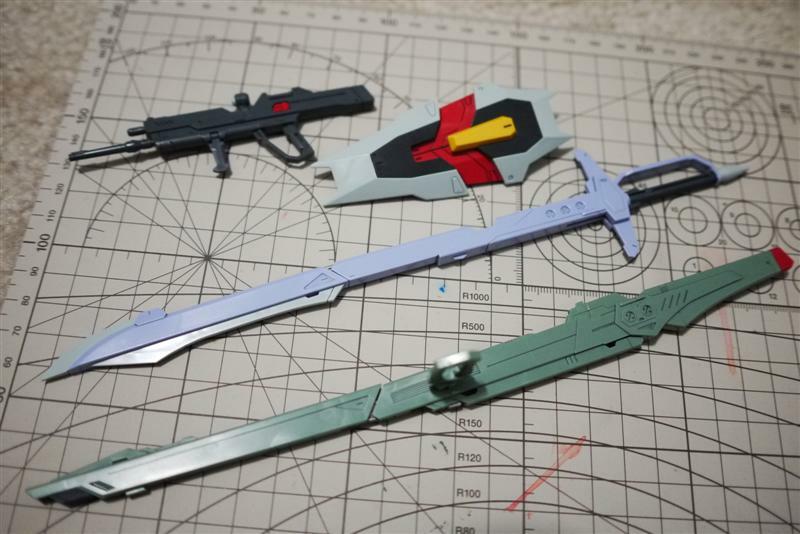 The remainder of whatever needs to be assembled- Destiny Gundam’s weapons. Destiny Gundam is All That!